​An introductory experience designed for first time divers with no scuba dive license. No previous experience necessary. Discover Scuba Diving (DSD) is a chance for those who have never dived before to experience the weird and wonderful underwater world! Feel the weightlessness of swimming underwater and breath out your first bubbles whilst feeling secure in the knowledge that you are in safe hands being fully supervised by one of our qualified instructors. You simply need to breath, relax and enjoy! This shallow, sheltered site is most suitable for beginner and learner divers. 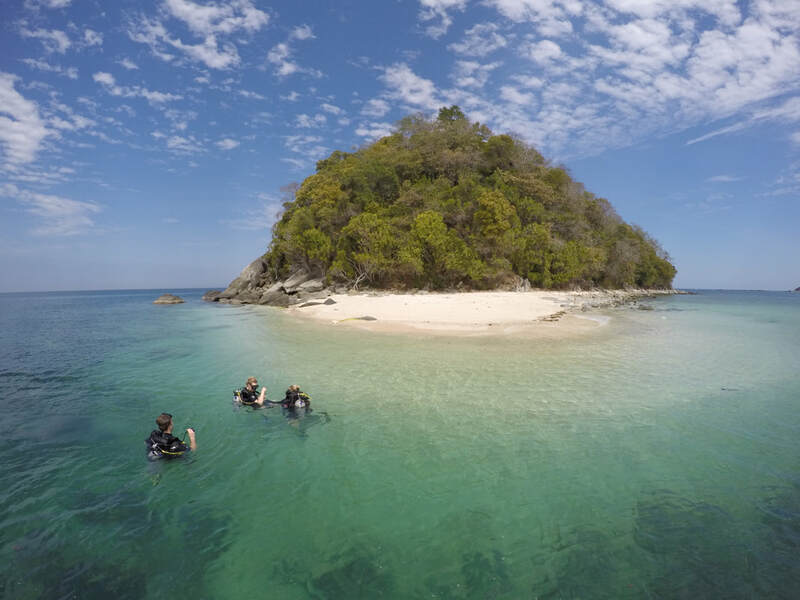 Discovery divers will first practise dive skills and underwater swimming in shallow water off the beach. Once divers are comfortable underwater, our instructors will guide discovery divers over the island's reef, where you will be able to see colourful corals and tropical marine life. Once you try scuba diving and discover you love the experience.. why not continue learning?! After completing Discover Scuba Dive you may then progress to Open Water Diver. If you continue learning with Bigfin Divers we will subtract the cost of your Discover Scuba Dive from the price of the full PADI Open Water Course! Become a fully qualified Open Water Diver in just 3 1/2 Days. This is an entry level course for beginner divers, no previous experience necessary! This scuba qualification is recognised worldwide and will enable you to dive to a maximum depth of 18meters… valid for a lifetime! A world of unexpected beauty, unparalleled adventure and unyielding excitement waits for you under water. Scuba Diving – unlike any other activity – gives you the ability to explore the aquatic worlds vivid reefs, discover its unique inhabitants and experience its abundant diversity. As the worlds most popular and widely recognised scuba diving credential, the PADI Open Water diver certification paves your path to global exploration and adventure. This performance based adventure program is designed to lead you step by step in your future exploration of the underwater world. The PADI Open Water diver course and certification provides you with the knowledge and skill to dive confidently, and it connects you to an internationally recognized community of dive enthusiasts comprised of millions of PADI divers. 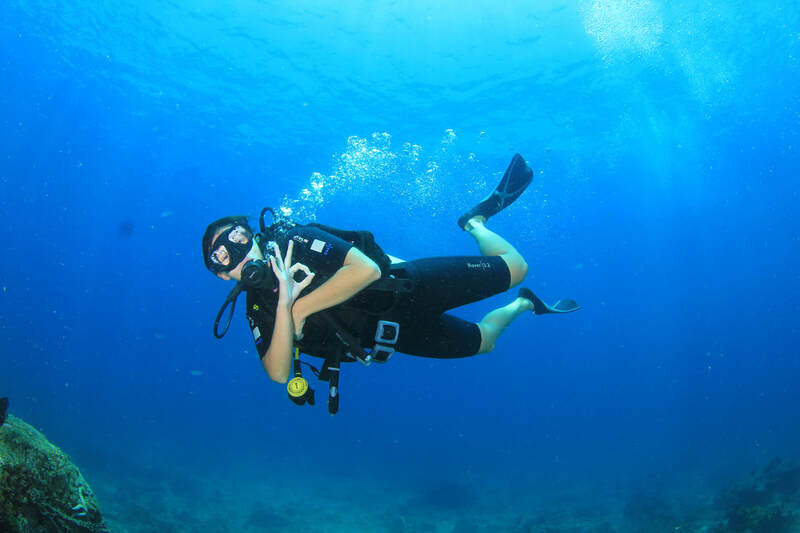 The PADI Open Water Course takes a minimum of three full days to complete. However at Bigfin Divers we highly recommend students spend 3 ½ days (no extra charge) to complete the course in order to get the most out of your experience learning with us and gain proficient dive knowledge and skills development. During the PADI Open Water Course, you’ll learn what you need to know to explore the under water world using scuba. Most people find it a rewarding challenge that is not overly difficult. The PADI Open Water Course is comprised of three parts; Knowledge development, Confined water dives and Open water dives. At Bigfin Divers we like to intersperse the knowledge development with open and confined water dives over a minimum of three full days, to give optimum learning experience. Knowledge Development covers the principles, concepts and terms that you need to know for safety so that you enjoy diving. Independant study from the PADI dive manual and viewing corresponding PADI dive videos will prepare you for practical application. Short exercises, quizzes and knowledge reviews help you assess and confirm learning as you go. 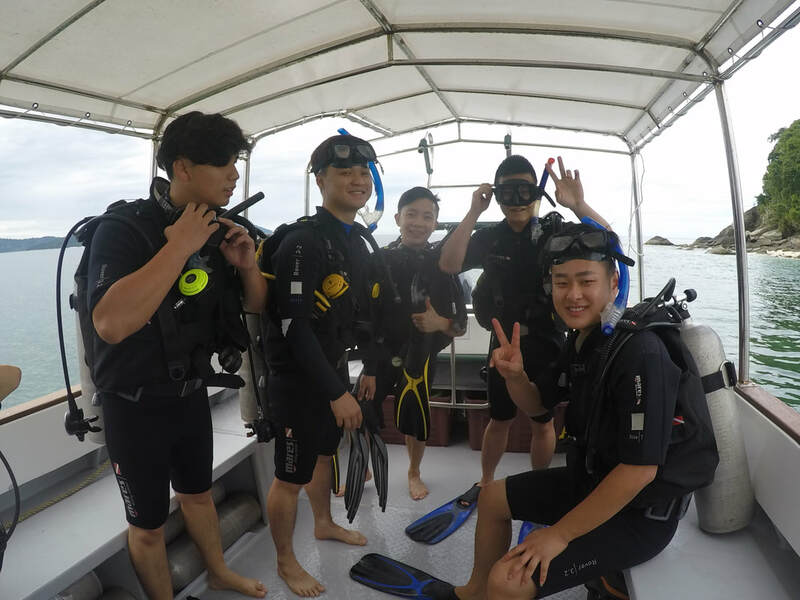 During the confined water dives, you learn and practice scuba skills in shallow water under direct instructor supervision. You also practice applying what you will learn in knowledge development. You make open water dives with your instructor at sites suited to beginner divers. 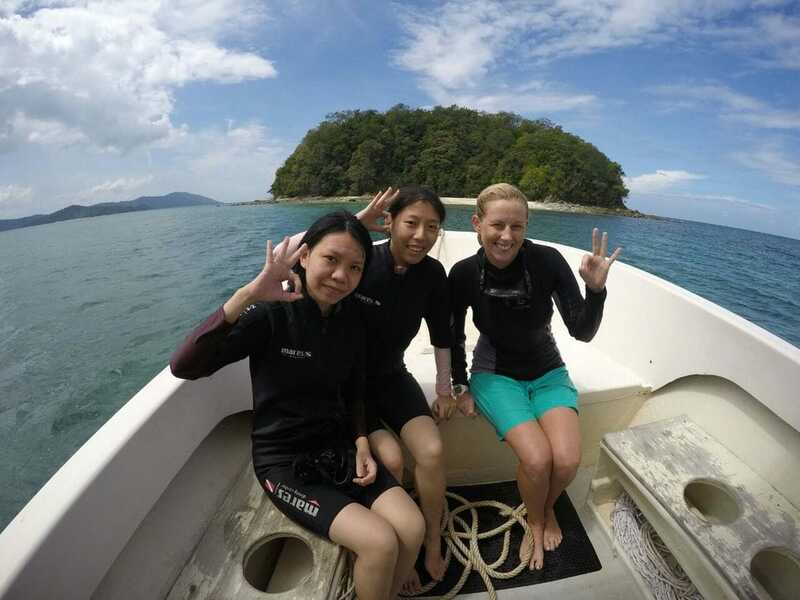 On Day 1 and 2, dives will be conducted at and around Pulau Pandan Island, which is most suitable for beginner divers. On day three (student ability and weather permitting) we will take student divers to slightly more challenging sites further afield. You will practice, apply and demonstrate what you learn in knowledge development and the confined water dives to become proficient in open water diving. The five knowledge development sections and videos correspond with the five confined water dives. You will complete four Open Water Dives. Then you will take a final exam with multiple choice questions to ensure you have learnt the essential information for scuba diving. The PADI Open Water diver certification is the worlds most popular and recognised scuba credential. It is a full, entry level certification you earn by successfully completing the entire course. It qualifies you to Dive without instructor supervision to a maximum depth of 18 meters, whilst applying the knowledge and dive skills you learn in the course within the limits of your training and experience. *Course schedule is loose itinerary and may be subject to change due to dive conditions, instructor preference and suitability for student learning. Ready to progress? Itching to learn more? The PADI Advanced Diver Course qualifies you to dive deeper, perfects your skills and enables you to experience different types of adventure diving! Diving isn’t an adventure, its many adventures, and that’s what the PADI Advanced Open Water Diver course is all about – expanding your underwater horizons, accelerating your experience, developing your skills and making you a more capable, confident diver as you take on some of diving’s most popular activities. It’s about making new friends, seeing new sights and of course having new adventures! The PADI Advanced diver course takes just 2 full days to complete. You will receive a PADI Advanced diver manual from which you need to read, study and complete five knowledge reviews. You will then complete the corresponding five Adventure dives. The PADI Advanced diver course has NO EXAM! Instead, your instructor will evaluate your learning by asking questions, having discussions and watching you put what you know into practice. The objective of the Advanced diver course is to expand your underwater world by making dives in the pursuit of new discoveries, abilities and experiences. This program develops the underwater interests you have, while you discover new ones, expand and refine your skills, and become more confident under and above water. 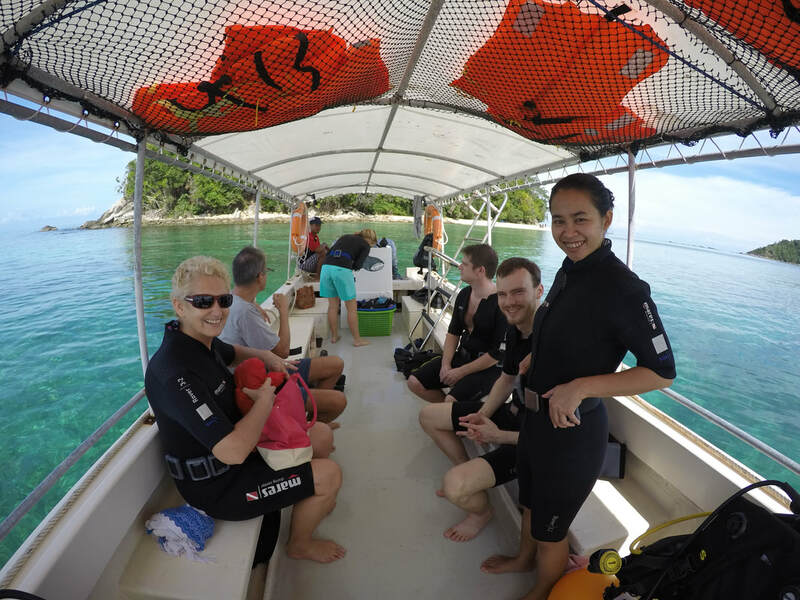 ​Adventure dives are dives from the Advanced Open Water Course, which credit towards Advanced Open Water Certification. You may complete any of these under instructor supervision, providing you read the appropriate PADI materials and complete the corresponding knowledge review. Complete 3 and you are an Adventure Diver, complete 5 and you are an Advanced Diver! Schedule: 5 theory modules with knowledge reviews, quiz, exam and corresponding videos. Surface and underwater skills practice, open water ‘hell’ dives and rescue scenarios. This course is comprised of deep diving theory and 4 deep dives between 20-40 meters. Learn how to plan a deep dive safely by calculating your safe dive time, depth and air consumption using the RDP and a dive computer. Experience and learn to recognise the signs of nitrogen narcosis, and practise an emergency decompression stop before surfacing. By the end of the course you will be qualified to dive to 40meters, the absolute maximum for all recreational divers! Want to capture what you see? Underwater photography is harder than it looks! In this course you will be taught underwater lighting techniques, composition, the importance of aperture and shutter speed, buoyancy control with a camera and how to edit your photos. You will quickly improve with top tips and tuition from our award-winning professional photographer, dive instructor Apex! Fine-tune your buoyancy skills to perfection on this course designed to make you a better diver. Good buoyancy is an essential aspect of diving that gives you greater control, confidence and ability underwater. Ensure you are correctly weighted and confortable in your equipment. Learn to swim backwards, through tight spaces, up, down and move gracefully underwater. Practice our different finning and breathing techniques and you will soon be swimming like a fish! ​The first step to becoming a dive professional! For those who are really interested in diving, the dive master course is an intense 6-8 week programme designed to raise your dive proficiency to the next level. The learning schedule is divided between verbal and practical tutorials, shadowing professionals, assisting student divers, assignments and independent study. We will prepare you for exams in dive theory, skills demonstration, underwater leadership, rescue skills, and in water ability. Upon completion you will be a certified underwater guide with the knowledge and qualification to work in the dive industry!